Finally, A Secure, Reliable, Cross-Platform, User Interface! 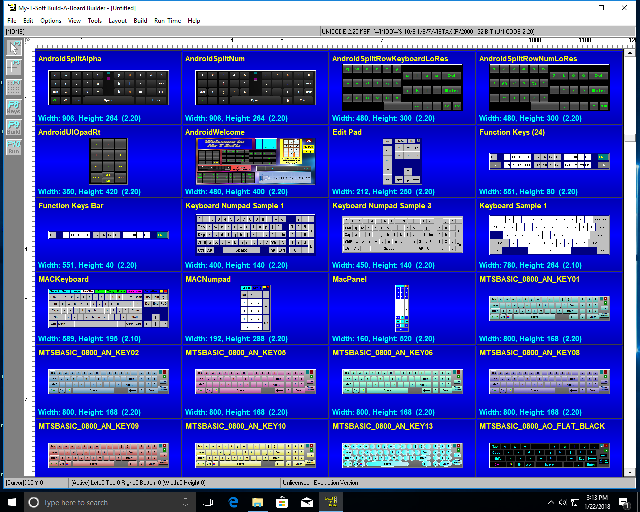 My-T-Soft® now includes IMG's Build-A-Board & Online Layout Database with thousands of layouts for the ultimate On-screen Keyboard User Interface. Get the My-T-Soft Advantage! What you want, when you want, where you want it! 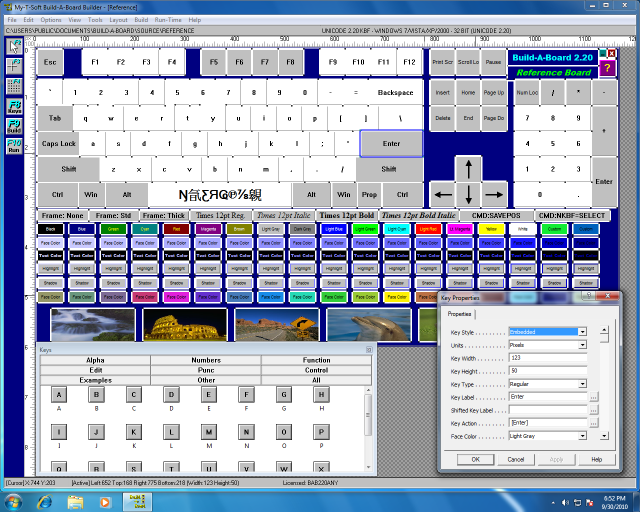 Ready to start making custom layouts? Click here to Get Started! Now, anyone can create custom touch screen keypads and panels with interactive buttons, input panels, and keyboards on screen that seamlessly integrate into any application, roll-out on any platform, provide operator security, are easily modifiable, and yet still provide the ultimate user interactive experience. Whether you're on a touch screen, mobile pc, rugged tablet, smartphone, tablet pc, or ultra mobile system, you now have the right set of tools for them all. And it easily integrates into any low or high level programming environment with our SDK Developers Integration Kit! Don't want to Do It Yourself? Let us build layouts and help integrate them! 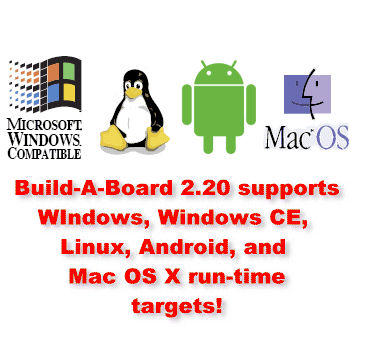 Build-a-Board can generate it's own software input panel run-time targets for Windows CE thru Windows 10 (including Embedded and Terminal Services), Linux, Android, and Mac OSX, or add custom layouts to IMG's My-T-Soft Family (My-T-Pen, My-T-Touch, My-T-Soft, My-T-Soft Terminal Server, and OnScreen with WordComplete). Build-A-Board is the answer for anyone who needs complete control over the user interface when working with a mouse, mobile or rugged tablet, trackball, or touch screen based system. Of course, it also works with any other pointing device. Shape panel layouts to fit application frames. Like an L-shaped keypad! Built-in Commands: Close, Minimize, Save Position, etc. The Ideal Complement to Mobile, Tablet, & Touch screen based systems! 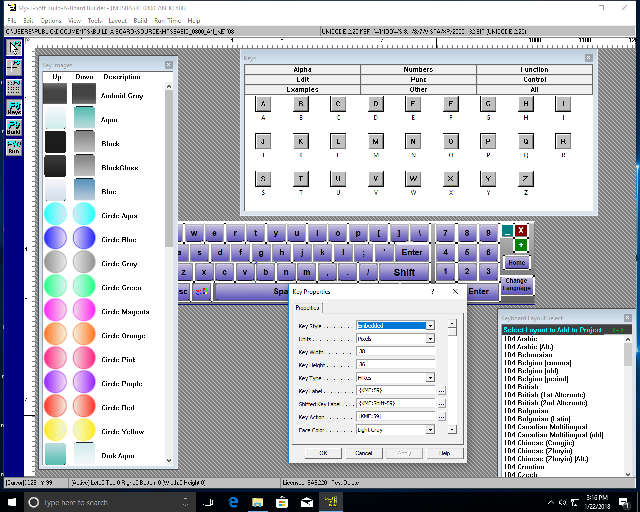 Build-A-Board's Touch screen Keyboard User Interface Utilities are the answer for any end-user, developer, integrator, or manufacturer who wants alternatives & options to a basic on-screen or external keyboard. In secure environments, controlling what features & functions are available to the operator can be extremely important, and Build-A-Board gives you the ability to do just that! Replace outdated equipment with new systems utilizing today's mouse, pen or touch screen input technology, while preserving existing methodology & procedures - Familiar interfaces eliminates the need for additional user training! Multiple target platforms - Windows CE thru 10 (Embbedded & Terminal Server), Android, Linux, Mac OS X, etc. 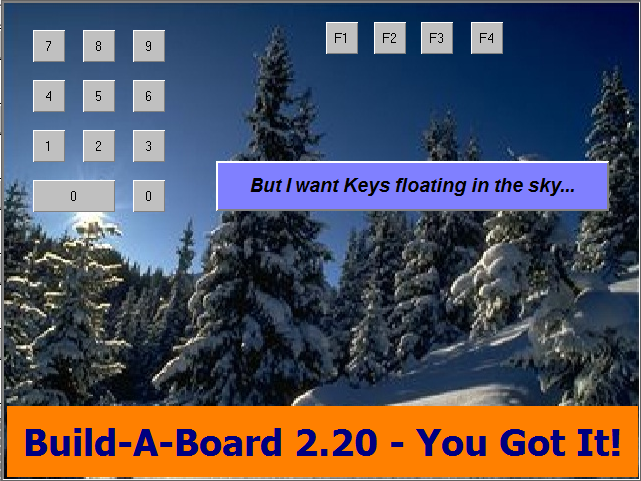 Build-A-Board provides a Builder tool which is a standard Windows Application, that is used as a development environment for laying out one or more boards with any number of keys. Each project/custom board can be targeted towards any supported platform (platform license may be required). Each supported platform provides target specific run-time files or target-based install package. Build-A-Board was designed from the ground-up to be a cross-platform, multiple target custom keyboard design tool. The Build-A-Board Builder is the developer front-end that can manipulate keyboard layouts, look, and features. 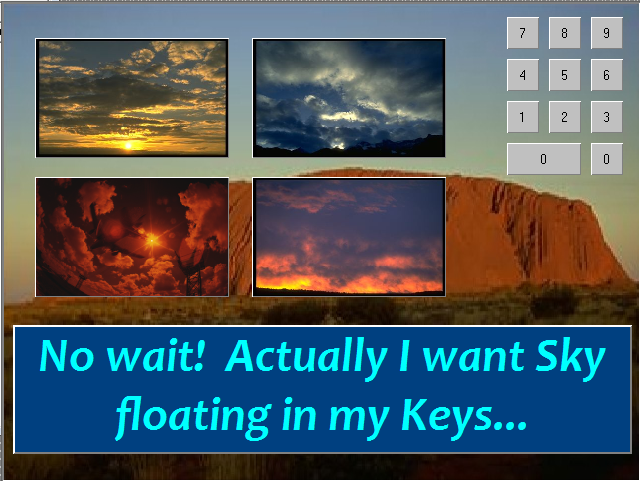 The Run-Time Targets are the actual software (Program) that runs on a target system to display and operate the keyboard layout (Data). Due to the various nature and aspects of the different run-time operating systems and environments, there are features and capabilities that may not translate from one system to another. Also, with over 15 years of providing keyboard solutions, and a half-dozen keyboard file data formats, there are also other constraints that may affect a particular target. Build-A-Board is the result of constant input and feedback from customers, integrators, developers, and OEMs on what a flexible on-screen keyboard/user interface tool needs to do. Engineered using a disciplined/modular/cross-platform approach, Build-A-Board is the professional's choice for any serious customer or enterprise based deployment. For Upgrades or Older Version Licensing, please see our Annual Maintenance Support option. Just want to license electronically? Download and install the software, then click on "Purchase License Now" from within the software's License Manager! Build-A-Board Builder Tool License (Run-time Lics Addl.) Suggested Price (US) $0 (FREE).